“Until a few years ago, it was thought that the role of these vesicles was to release ‘cellular waste’ to the exterior. However, nowadays we know that exosomes contain genetic material, proteins, and lipids, so they can carry that material intact from one cell to another,” explain the UCV researchers. Therefore, the discovery of exosomes has enabled “huge” progress in fields as diverse as oncology (exosomes play a relevant role in metastases), neurodegenerative diseases (such as Alzheimer’s or Parkinson’s), and even diseases that cause blindness. 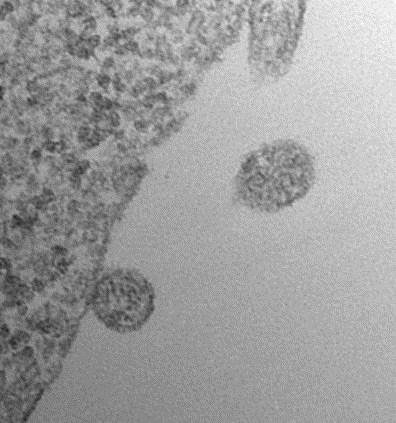 It has also been observed that the composition of the exosomes changes depending on their cellular origin and the state of health of the cell. This article is based on an article published by R&I World of the RUVID Association. R&I World is part of the Internationalization of R&D Strategy adopted by RUVID in February 2014 and is also part of the Coordination Strategy and Action Plan of the Regional Government of Valencia in Horizon 2020. The Network of Valencian Universities for the promotion of Research, Development, and Innovation, RUVID, is a non-profit private organization that was born in December 2001 through a partnership agreement between the five public universities from the Valencian Region.